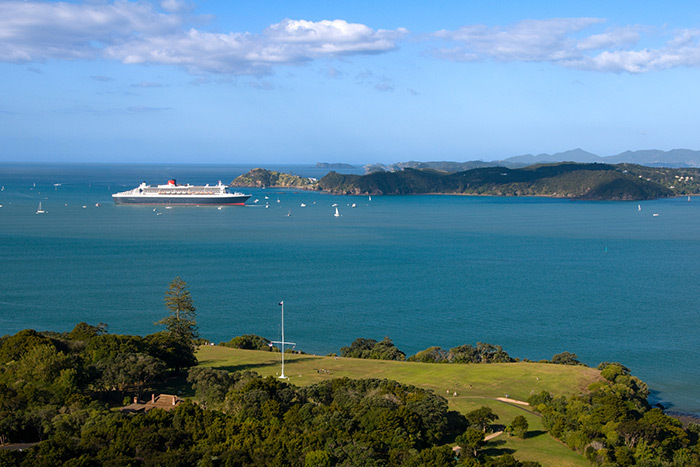 Tendering into Waitangi Pier offers a beautiful scenic start to your Bay of Islands visit, as you cruise close to the shorelines of the magnificent Waitangi Treaty Grounds before docking at Waitangi. A plethora of options awaits you if you haven’t already booked on one of the fantastic tour options available on board your ship. A friendly team of Shore Excursion staff await you to point you in the right direction, together with a bright and bubbly group of local Bay of Islands Ambassadors ready to help you find your way further afield. Complimentary shuttle coaches await for those who haven’t already planned their day, and whisk you on a short 10 minute ride into the township of Paihia. From here you can hop on a 15 minute ferry ride to the quaint township of Russell or take advantage of the many options of local activities available at the Maritime Centre and local i-site – part of the NZ-wide information centre network. 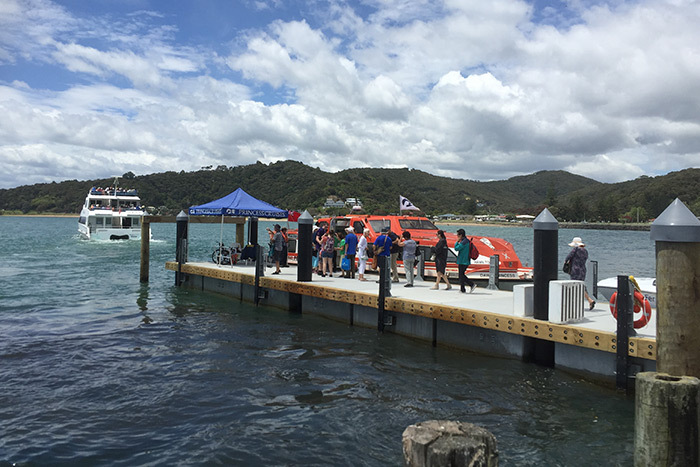 These complimentary shuttle coaches operate throughout the day, and complete a 15 minute circuit between the Waitangi tender pier, Paihia village, and the Waitangi Treaty Grounds before returning to the tender pier. The quaint villages of both Paihia and Russell offer a great range of retail and dining options to help you enjoy your time exploring these small seaside resorts. History abounds in these two villages so significantly important in the establishment of the New Zealand colonial life. 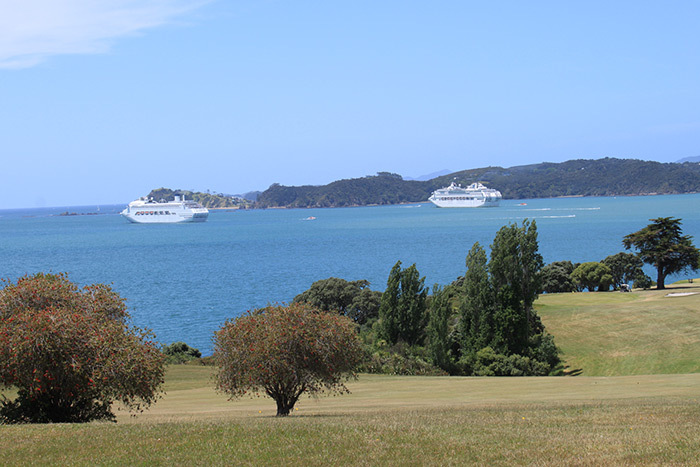 A visit to the Bay of Islands would not be complete without stopping at the Waitangi Treaty Grounds – this is the birthplace of New Zealand as we know it today. This site is a “must do” and the modest entry fee offers a guided tour, cultural performance, and unlimited entry to various historical buildings on site, as well as the fabulous Museum of Waitangi documenting the history of this wonderful place.